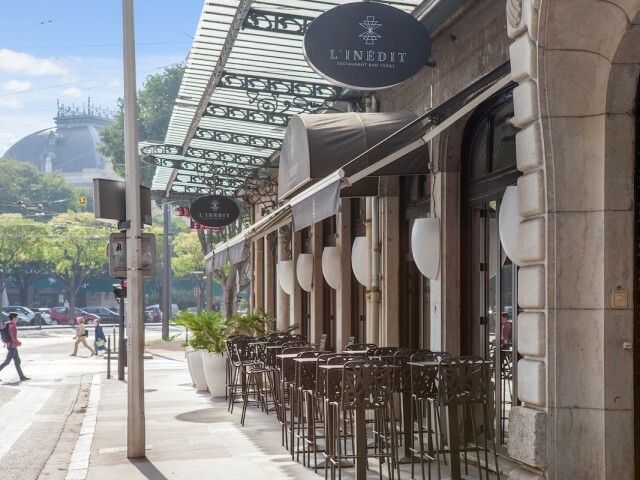 Inedit, the last nugget of the Brotteaux in the 6th district, welcomes you every day in a chic and casual atmosphere to make you discover its inspired cuisine, creative and gourmet. To sublimate your meal, our French and foreign wines selected from independent producers are all offered by the bottle or by the glass. Want to have a drink? We offer a wide selection of cocktails that you can accompany with refined tapas and homemade. Every Sunday lunch enjoy a relaxing moment with family or friends around our brunch, 25 euros excluding drinks. Want to meet friends or colleagues? We organize for you your afterwork around a friendly and warm atmosphere. A business night planned? We privatize and organize your events.